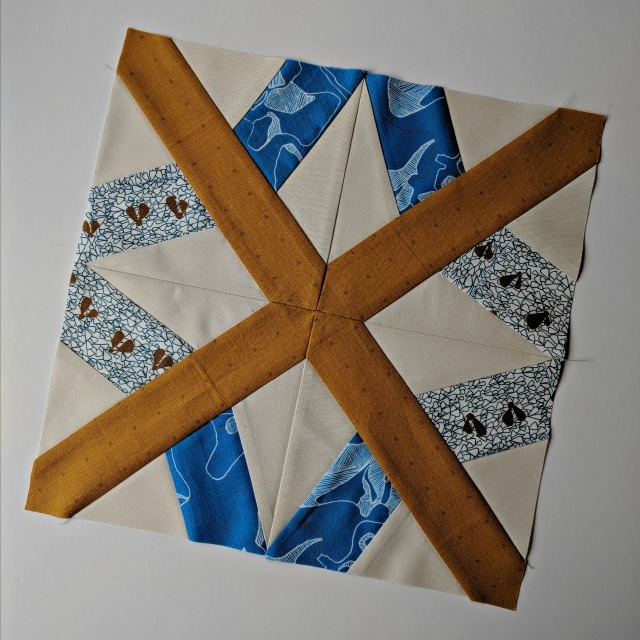 Off on vacation last week, I saw Lee/Freshly Pieced's post about the new Summer Sampler block, Half-Timber, but I wasn't able to do much about it. So it was a treat to get right to it once I got home. The block was inspired by the architectural style of many buildings she saw on a trip to Germany, and its bold, graphic design looks great with the other blocks. It's fun to see how far we've "traveled" on our road trip! I really do like the colors you've chosen for your quilt! 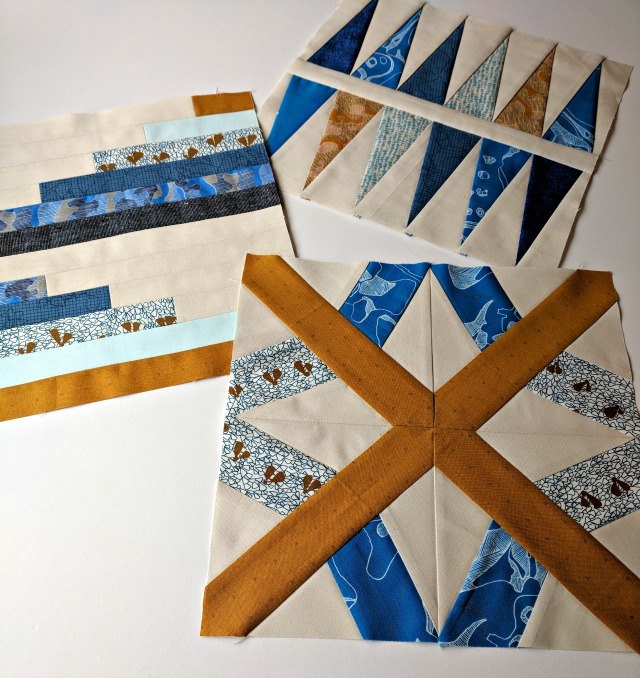 To me they're very peaceful and calming and will look fantastic all pieced together and quilted! I think it's a lot of fun to have something to look forward to after a trip, like this block. Your fabrics and color palette speak to me more every week. Love your fabric choice Debbie ! Another beauty to add to the pile!